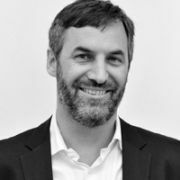 Bernd is Executive Vice President at United Visions in Berlin. Prior to this role, he has long been working as Brand Vice President (Marketing & Communications) at Design Hotels AG, Germany. As a member of the executive management team of Design Hotels AG, Bernd is responsible for Sales & Marketing, Brand Experience, Brand Communications, Creative Services, as well as Public relations. Bernd has developed and produced projects worldwide for companies such as Deutsche Bank, Berliner Pilsner, SAT 1, Procter & Gamble, MTV, and Volkswagen.